Throughout its history, Hy-Vee has consistently worked with local producers and growers to bring customers the freshest, highest quality produce. Meyocks developed a campaign that would make shoppers aware of both the source of the produce and the relationships Hy-Vee has cultivated with local growers. Though Hy-Vee has worked with local producers for the better part of a century, customers weren't necessarily aware of those relationships. The grocer has its finger on the pulse of the consumer, and knew that buying local had become an ingrained part of consumer behavior. Shoppers today like to feel good about where their food comes from — and Hy-Vee had a good story to tell. Meyocks developed the Hy-Vee Homegrown campaign to help customers immediately recognize locally sourced products within the store — defined as items grown and delivered from within 200 miles. 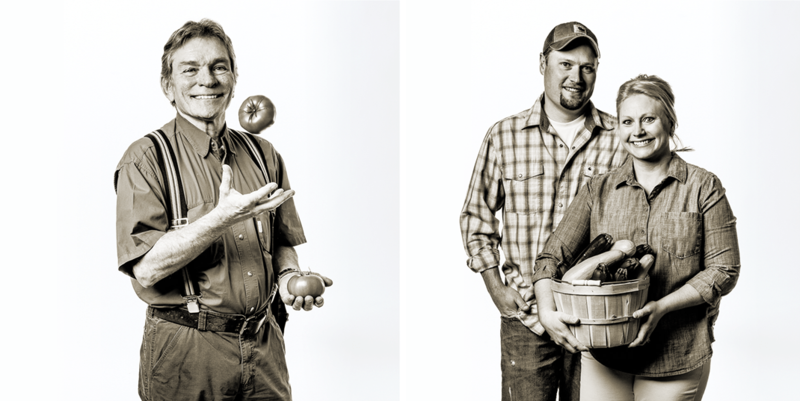 By featuring the actual local producers responsible for the products, the campaign emphasized both Hy-Vee's community relationships and commitment to working with dedicated growers. 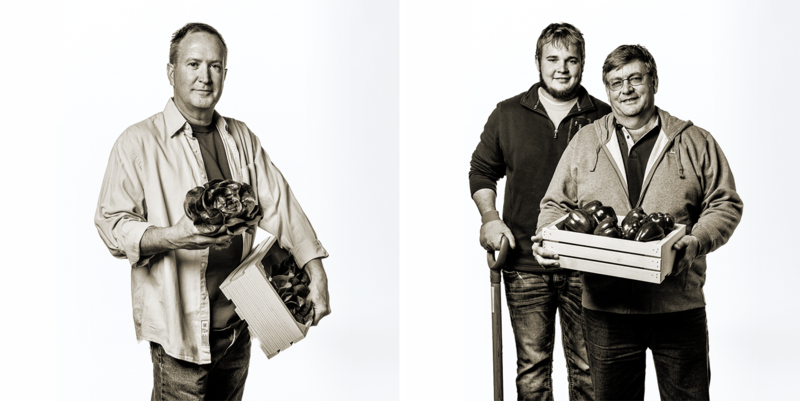 The agency conducted photo shoots with more than 40 of Hy-Vee's growers across more than a dozen locations. 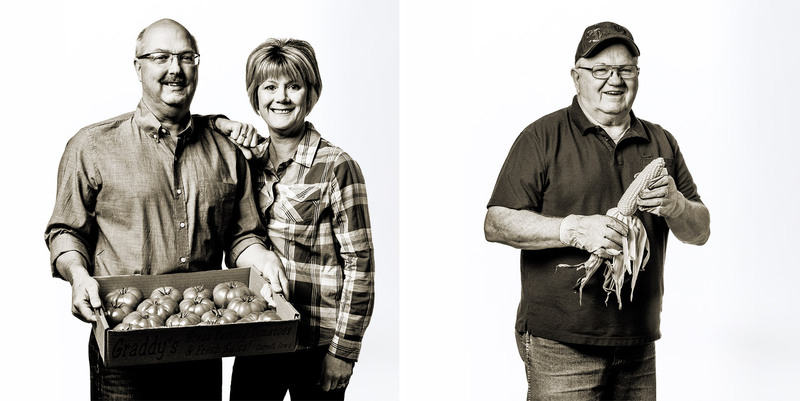 These photos were used to give customers an understanding of the people — and the stories — behind the produce on display. 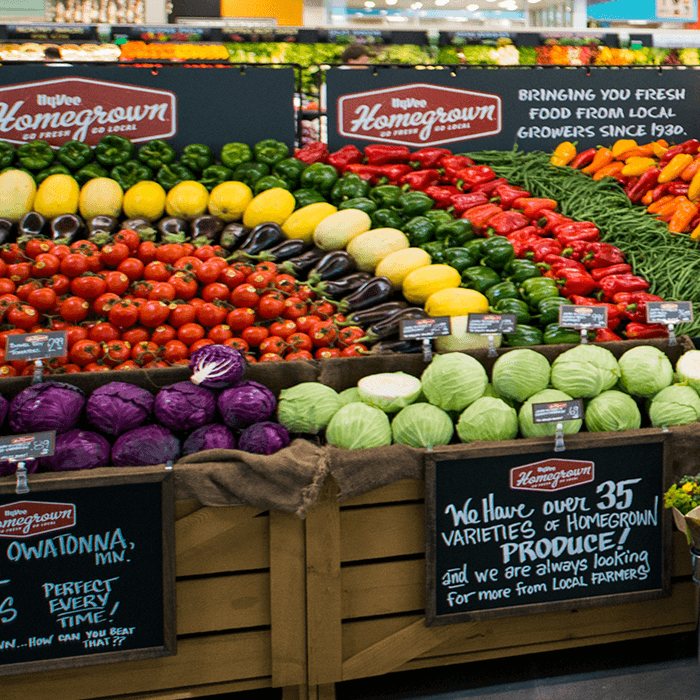 Chalkboard signs allowed each store to promote the Hy-Vee Homegrown brand consistently — while still easily customizing their signs to promote different featured growers each week throughout the season. Hy-Vee store produce managers have embraced the campaign — and each store's produce section now has the feel of an upscale farmers' market. Attractive signage with a hand-lettered aesthetic makes Midwest-grown produce easily identifiable, helping customers feel good about buying local while shopping at Hy-Vee. 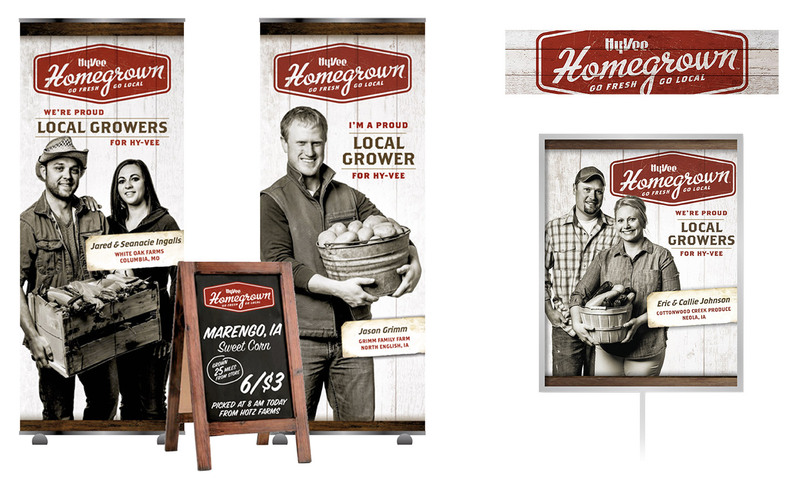 Meyocks continues to help update the Hy-Vee Homegrown campaign — including conducting additional photo shoots with new growers as the grocery chain moves into new markets, and producing additional signage to fulfill store-level demand.